Lifting the trade embargo with Cuba that has been in place for more than 50 years could bring Americans advanced medicines that were previously unavailable, such as a Meningitis B vaccine, cheaply produced interferon and streptokinase, and a revolutionary new drug for advanced-stage diabetic foot ulcers. As New York podiatrists, we welcome any safe, effective treatment that can prevent amputations — a worst case scenario, but a tragic reality for 185,000 American patients each year. Is Heberprot-P the miracle diabetic foot ulcer drug we’ve all been waiting for? Lower limb amputation is something we don’t like talking about with patients. Our goals are to relieve pain, improve mobility, and restore quality of life — and the loss of a limb seems to be the antithesis of all these ends. Yet, we are limited in what we can do when a diabetic foot ulcer has become so infected that it leads to rapid tissue necrosis and gangrene. This infection can be so severe it goes right to the bone. Gangrene that is not treated aggressively will cause a fatal infection that spreads up through the legs and affects the vital organs. There are fewer options for advanced stage ulcers, however — unless we cooperate with scientists around the world to develop something better. Fortunately, the answer may be nearer than we realize. Heberprot-B is described as a “recombinant human epidermal growth medication” and it’s “the only option to avoid the limb amputation in diabetic terminal lesions,” according to experts. The Houston Chronicle reports that there is one drug called Regranex that is FDA-approved to treat diabetic foot ulcers; however, its black box warning says there is an “increased risk of cancer death in patients who use three or more tubes of the product.” By contrast, no serious adverse effects have been reported with Heberprot. In fact, the only reported side effect was a low-grade fever. Several published studies assessing more than 2,000 patients in 60 Cuban health care facilities found a 71 percent reduction in the risk of amputation, with an average healing time of 13 weeks. While 185,000 patients have been treated with Heberprot around the world, U.S. officials are still hesitant to allow the drug into the country as tensions ease and trade relations normalize. New Yorkers cannot wait for Congress to act. Diabetic patients with foot ulcers need advanced therapies now. 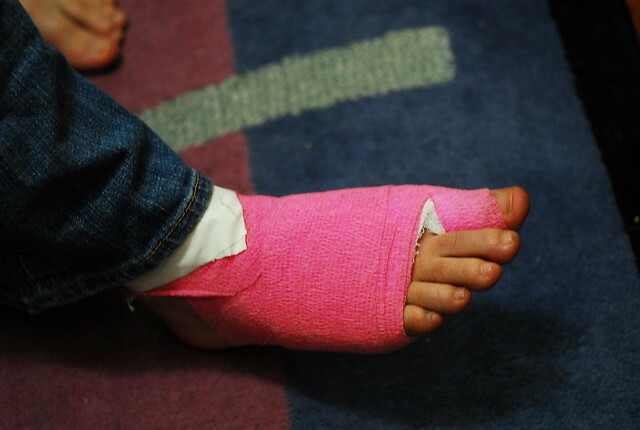 We will do everything in our power to help you salvage an infected limb. We’ve seen great results with a combination of bio-engineered tissue grafts, hyperbaric oxygen, and antibiotic therapy in later stage ulceration cases. Our experienced podiatric surgeons offer more than just decades of experience and expertise — but a level of compassion and care you won’t find everywhere. We have offices in Manhattan and White Plains. Call to be seen immediately or book your appointment online.